Work for Adobe Experience Manager? One of the things I like most about Adobe Experience Manager and what makes it different from other tools on the market is that, despite the sophistication of the product, the components are easy to add and configure especially if you already use Java technology. In addition to having unique features that promote better performance in its users. During the time that I have been using Adobe Experience Manager I have been able to realize that it has very few negative aspects, but one of the most marked is the lack of integration with third-party tools, it makes full integration only with the same products. 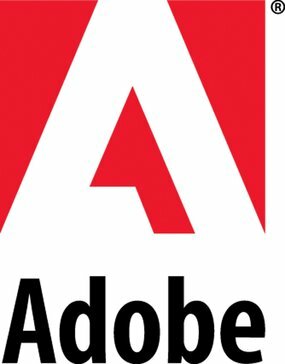 When trying to communicate with support, the solution to many of the questions is to buy another Adobe product, which is not bad, but they should be more open about it. If you are able to purchase several Adobe products, it is highly recommended, however, if you do not believe that you can commit to these products, do not waste money, as it is an expensive tool, and finding developers that work in it is quite complicated and expensive. One of the greatest benefits that Adobe Experience Manager has brought to our company is the ease of managing web pages, it is extremely simple and effective. Thanks to the development of these web pages we have had a greater reach with our potential clients. AEM is incredibly flexible. The system allows you to build templates for pages and place many different kinds of content on the pages (or not, depending on your rules), each with its own "component". One of AEM's biggest strengths is "shared content". It's a special area in the CMS where content in it can be re-used just about anywhere else in the site. AEM is incredibly full-featured and extensible. If it doesn't do exactly what you want to do, you can implement your own local variation on top of the provided code. With high flexibility comes high complexity. AEM is built on a Unix-like structure and requires a fair bit of knowledge from end users. Users who need to update some content once a year or so may find themselves frustrated. AEM is a top of the line solution for large, complex enterprise websites. It is the enterprise content management system at my work. The best thing about Adobe Experience Maneger is that it is a very sophisticated tool that is easy and quick to develop and is aimed at digital marketing. They have unique characteristics that any company can take advantage of. The learning curve is steep and it is not always easy, but then you will realize the fruits that you will reap. Adobe Experience Manager is very affordable. Negative aspects of Adobe Experience Manager would not have a good integration with third-party tools, there is only full and perfect integration with other Adobe products, otherwise there is no possibility. Adobe Experience Manager does not have a good backup system, they should work a little on it. I have been using Adobe Experience Manager as a developer for more than 2 years. I will recommend AEM to everyone out there. Thanks to Adobe Experience Manager we have been able to develop and improve multiple websites for both the company and one of our clients. This has helped us increase our potential customers as well as promote our products. "It is very editable but a bit slow"
The best thing about this web administrator is the possibility of editing or modifying things within each internal page of the site with just clicking and moving the mouse; The creation of editable spaces is simple and there are many modifiable features within the options. Being Adobe, that gives extra confidence in the use of the tool; with a little practice the changes are made without problems although I remark that it is slow in general. One of the clients of the agency used this tool to manage their site and gave me full access. I focus on modification of Meta Data but I have also made design modifications. I work a lot on creating content for multiple websites, which means keeping track of different home pages, content, and having fast turn around. When use AEM, it makes my edits visible while I'm making edits. In the editor, I have a clear view of how my content is going to be presented once I publish it. I'm still new using this and it's intimidating to know that if I push something into the system, that everyone else in my team and company will see it. This means if I make certain mistakes, people will know it was my mistake. I'm sure this feeling will go away once I get more comfortable using the software. I'm still really new and I can't give an in depth answer to this. I work with multiple teams at once, one problem I was having was working in conjunction with other content managers and us not being able to collaborate as effectively as I would like. This helps us work well together. Ease of use would be what i like best about this product. A photography business isn't complete without Adobe Experience Manager. Connecting with customers was a breeze and it really helped me see where I was connecting and where I really needed more work. It helped me with managing my business as a whole as well. There really isn't much I disliked about it. If I had to pick one thing I disliked how few updates I saw for it. I only discontinued use because I found something better that filled a need that this program no longer could but for the time being it did what I needed it to do. I would totally recommend this product to any self employed business or even a business that is already doing well. It has the means to really connect you with your user base and help you see where you're going and where you need to be going. Problems I've solved would be management of my user base and connecting with those customers which showed a huge benefit to my business. "Cloud based, multilingual, public platform, easy to use, abundant features and excellent value for m"
Adobe experience manager is a platform with extremely modular design and provides ease of integration with other adobe products. Its features are well developed. The customer business support is also very efficient. Its permissions take a lot of time while users are working and can cause interruption. It also sometimes does not allow you to copy text that exists in adobe formats. It is also not easy to install or program. The documents are not always updates. Adobe experience is an extremely useful application and has negligible disadvantages. The problems are also easily diagnosable. Thus one may consider using experience manager. Adobe experience manager is an experience integrated with adobe analytics products. It provides numerous experience management and content management opportunities and is extremely useful especially for the advertising industry. AEM is a great CMS, it is so much flexible and also easy to use. The best part is the agility in it, like dividing the entire project into templates, components and then you can play with it. It has a great DAM system where Business can put their content and then use it in AEM or other places. It has great user admin screen where we can manage the user groups, it is a great feature to easily manage all this. It is a complex system with so many screens to manage. The biggest issue which I faced was the time taken to develop application on this and the money used for its implementation. We are building Enterprise Content Management System with this. We worked with different company and leverage the AEM Platform to build solutions for them. "Adobe AEM Helped Us To Optimize Web Experience"
AEM provided easy solution to create, manage, publish, and update complex digital forms while integrating with back-end process, business rules, and data. It helped us to perform OMNI channel (personalized) experience, which we have integrated through Adobe wide range of cloud based applications, such as Target, Analytics and Data Management Platform (AAM). With AEM implementation we could optimize web experience and also saved 30% resource utilization. Service: Adobe product development team need to address known bugs from older version (such as node) before realizing it in latest once. "Extremely capable and functional enterprise web CMS"
Adobe AEM integrates with the Adobe Marketing Cloud features and allows for some very complex content management and delivery, including targeting. Adobe AEM has a very high learning curve to get beyond the base functionality. It is worth the time investment, but requires months of preparation. It is the most feature rich enterprise level web content management system available. It is complex, and there is much depth, which requires effort and time. But it is worth it. It is important to recognize that the right teams should be set up and trained to use this product as a part of a larger marketing initiative. As a standalone product without working with creative, user experience, front end development teams, you will not get the most out of this product. Adobe AEM allows the delivery of feature rich authored content with workflow approvals for legal, copywriting, and other necessary teams to assure the right content is displayed at the right time. "Easy to use for content management and web vertical build-outs; impossible for size charts"
Uploading images from scene7 was easy to use, and adding components like curated left navigations, banners, CTA's, etc. was always breezy. I liked how the TLPs were listed week by week - it made it easy for visual people to look at changing promotions. Switching between preview mode and editing mode was simple, and activating new changes almost always took immediately to the site as opposed to an hour, or 24 hours; that was probably my favorite part of the entire app, was how quick changes could be made to the site. Overall I found it to be a pretty application to use, and I would recommend to somebody within graphic design, web design, online merchandising, digital retail marketing, etc. Especially if you work within apparel retail. It was really difficult to build size charts in ASAP, so much so that I almost avoided the task altogether. There needs to be a better way to copy and paste from other size charts or upload templates or something, other than starting from scratch each time. Also, it could be really difficult to find where your page was depending on how many separate verticals there were within your site/business. Also, I thought it was really frustrating you could only copy and paste within one page's TLP listing, and couldn't carry a component between verticals (i.e. If I created a drop-down trending section on the women's clothing left navigation, I couldn't copy and paste it onto the plus size clothing page.) Lastly, when there was an engineering issue, or something wasn't loading to the page, the team was almost non-responsive and completely unhelpful - probably the easiest fix on this list. Really easy to use for newcomers within the e-commerce or online merchandising industries, and allows you to collaborate cross functionally super easily. Would definitely consider if you have employees who aren't totally tech savvy! I was ensuring the women's clothing page was designed and set for upcoming weeks, along with the graphic design and digital marketing teams. I used it to manage promotional imagery and taxonomy attributes. When it comes to its advantages, first of all, AEM lets you manage multiple sites using just one solution and translate your pages into different languages. It's especially helpful when you have a complex website and market your product in different countries. In general, I think that AEM is a robust solution, however, its complexity may be found difficult at the beginning, especially for users who have never had any experience with such a tool before. "AEM is the king of CMS platforms"
From copywriters to developers, any level of user can operate AEM. Adobe has made the task of managing a large scale website as easy as managing the folder structure of your family reunion photo albums. Easy stuff. The dreaded "cons" of AEM... Well guess what? I haven't found any. Seriously. Integrations with other products are not nearly as painful with AEM and the asset manager is clutch. It's a very powerful tool with a ton of options. Be patient. Take some training. You will love it. Business problem: Launch a full scale corporate banking site within 6-8 months. Solution: AEM. We did it. It wasn't the easiest process in the world, but we managed and succeeded. "Content management system that reduces times"
Great interface to manage content quickly and inemediata that helps the marketing department to reduce time and distribute content at high speed providing flexibility to workers. Adaptive web design I personally think that it does not optimize elements like the design, the size of the text, in the way that it should adapt. This presents some problems when the customer chooses how they should be. The management of digital assets in real time that best manages them. It uses tools of artificial intelligence that allow to scale and adapt the needs of my department to the demands of the work. One of the benefits you have is that it has fewer incidents and more escalation and security in the cloud. The cloud is the key. Thanks to the cloud you can really manage content at the business level, and get privacy and scaling. I’ve been using it for many years, even with updates it’s still really easy to use. Mostly used for marketing, advertisement and informational flyers, triptics and that sort of deals. Benefits would be creating something great and simple in a short amount of time. "Adobe is a complex platform, yet high-tech"
I like that Adobe is one of the most top-notch and best performing products on the market. It allows for more flexibility with their products and provide some of the best training experiences. It's extremely complex, and if you don't have any familiarity with high-functioning HTML, it will be very hard to grasp and understand. I would consider getting formal training, and as much training as possible; familiarize your company and self with as much of Adobe as you can possibly. It will benefit you greatly in the interim. The business problems I solved with Adobe Experience Manager were high-level experiences for a developing team to help with a newly designed website, along with content migration. "Improving, but have used better"
I like that it offers formatting tools with an interface similar to Microsoft Word. It is prone to errors, is slow, can take a long time to load, is time-consuming, has intermittent glitches. It is improving, not as quickly as users would like generally, but it is still very frustrating; it is costly and there are better tools than AEM, as I see it. It enables me to post news and images to our websites. "Digital Marketeer - Daily User"
It's easy to work with and to manage multiple sites. I'm in charge of the content for 7 different countries in a Market. Localization for multiple countries in different markets. Has made page creation faster amd easier. It's a very robust ecommerce platform that can integrate well with many of the other Adobe suite of products. We haven't fully integrated with the Touch UI and the navigation around the backend can be a bit clunky. Tags for product set up are helpful, but would get clunky with a large product catalog. It's a robust ecommerce platform and helped us solve our content management problems. Once we fully integrate some of the other Adobe products such as Search & Promote & Adobe Sensei and upgrade to the touch UI, we'll really be able to fully take advantage of the capabilities. "Good for the out of the box function"
The page templates that are componentized out of the box are easy to use and work really well with other Adobe products. User Interface is easy to learn and understand. custom templates malfunction often, when we ask Adobe for help/support, the solution is almost always buying more service contracts, and/or adobe products. Not necessarily a bad thing, but just know this in advance. if you can get all adobe products, it will make the ease of use of any individual one much better and will be a more cohesive experience overall, just make sure you are ready to commit full to the Adobe package. marketing content management updates are simple and accessible to make. We don't have to wait a long time or get the technical team involved. "Great tool for multiple sites, content, translations and integratiing other applications"
"Possibly more than you need from a CMS"
For a global organization, AEM is one of the more obvious choices for a website CMS as it is developed in a way that allows scalability and reuse of components, providing you plan well. It can be a little slow and seems to require some developers to create bloated code, apparently. It's expensive, as is the support you'll need. Look at all your options. As a company that has gone 'all-in' with Adobe for digital marketing, it wouldn't have made sense to use a different CMS, so I guess that was never even a question. The benefits are not always clear, though. "Good Tool for Large Businesses"
Adobe Experience Manager is relatively easy to use. Its built-in DAM allows you to store all of your content in one area, and its tagging structure allows you to optimize your website as you build it. Being able to connect AEM into the rest of the marketing suite is also a big benefit. Adobe Forms is not included OOTB, which is a bummer. We need a CMS that could hold tons of pages of content, since our business is so large. Our newest website was built using AEM and is optimized on a regular basis. "Web Content Management : The most Feature Rich tool"
AEM is by far the best tool I have used for WCM. Its got plugins for almost every time of feature required to create a dynamic website. Very easy to create and customize. Evaluate other tools in the market before going the AEM way. Creating a dynamic , content rich and multi-device compatible website along with the integration of the campaign management tool. We are using it to host the dynamic campaign and offer's dynamic landing pages. It's user friendly and intuitive. I use it to manage my global branded website for two brands. Seems to have small bugs all the time and I have to go to our internal web team to have them contact AEM. "Experience Manager is an Enjoyable Experience!" The easy of use and overall intuitive user experience. Learning the basics is a relatively steep learning curve, but it isn't intimidating. Once you've familiarized yourself with Adobe Experience Manager, it's an easy and enjoyable tool to use. So far (been using for nearly a year), not much to dislike. Like the Adobe software that I use as a graphic designer, which is my primary role, it's a very powerful tool with functions far beyond what I've discovered or needed to use thus far. I'd highly recommend it, especially if a company is already using other Adobe Creative Cloud products. My organization uses Adobe Experience Manager to build/manage our website. Compared to what we used before for managing our website, AEM is far and away and better tool. I dislike that some of the options are not explicit to know what to do for example when copying a section to another webpage. "OS CMSs are not Free too, Does'nt mean go with Pricey Dead stuff bcoz of its Entriprise Marketing"
Except that its only one jar and only takes a click to start your nightmare, Nothing good here. Marketed as the best CMS and with many other huge claims, most of them are half truths if not flat lies. Marketed as OSGi, AEM in reality falls flat on key feature of OSGi, like ability of handling dependencies to the same library but with different versions. JCR is like filesystem but not truly a file system and this causes you lot of pain. TouchUI is said to be the future and but classicUI is what you will be using in reality, as TouchUI is not yet right there. Many features can only be used in theory like iParasys(designer's nightmare) for responsive design. Its an old system and hence has its not own legacy issues, as they have shied away from complete re-writing of the system. You pay a hefty price for license and will go through huge pain for implementing it. Maintenance is not easy as training staff is costly, it has a long learning curve and skilled consultants are again pricey and hard to find. To gain anything out of the power of this Monster you will probably need new Infrastructure and architecture which again can be costly. And the Marketing never stops, they try to sell you target and cloud services and other stuff. This system might be good for intranet sites and govt sites which are fairly static, something like sharepoint or any old java based cms might be used for. But not a fit for many other USE CASES like eCommerce. Open source CMSs are free, as in free Cat. You still need to feed the free Cat . But AEM is pricey, as in a Pricey Elephant. And a Pricey Elephant takes lot more than a Cat. "Looks pretty, but needs work on discovery capabilities"
I like how easy it is to create collections in folders that are visually appealing. It is also very simple to upload assets. I don't like how there is not a "back" button. If you enter search terms, click on an asset to get a closer look, and then go back, you will lose your search terms and results. I also do not how it does not display the number of results in a search. Be sure that you are planning to use AEM in tandem with other products in the Adobe Suite, like Sites. We have temporarily solved the problem of where to put things. The ability to have all content live in one centralized place that all internal teams can also review, sign off on. Making content changes to existing webpage modules right in AEM is very easy and can be completed within minutes. The product itself isn't that intuitive and can be troublesome at times with the multiple layers of user access settings. Being able to manage all site content in once place along with all webpages and page modules. The user interface of the software is intuitive and the experience is user friendly. It seems like there are constantly bug issues. It's a good product and user friendly. Easy for content uploads but always having bug issues. I liked how easy it was to make widespread changes to multiple product detail pages. The ability to have large-scale control and make rapid iterations is helpful. The build process could be slow at times since the entire package would need to rebuild. As a front-end developer, this can slow down dev times. The ability to roll out blocks of content quickly, and put large changes in place over large parts of the DAM. "Very powerful, a lot of layers"
Its a very powerful CMS with a lot of integrations into the Adobe marketing cloud, as well as 3rd party systems like Hybris. As a developer, there are A LOT of layers to deal with. At its core, there is Sling, Java and JSP, but in the latest versions they have thrown in Sightly. For AEM mobile there is phonegap, angular, you name it. Its just a lot. Consider other CMS solutions that may be easier to implement. Giving our clients a CMS in which to edit content for distribution to mobile devices. "AEM is a very powerful and customizable platform." It is great both how many features are available out of the box and how easy it is to add to and expand upon the platform. There can be a steep learning curve for new users, whether they are authors or developers. Sometimes there are odd behaviors that are hard to explain. Definitely evaluate whether AEM fits your needs because it can be a great fit. We use it to host our website. I've found it to be very flexible which makes it easy to respond to urgent requests. The functionality and capabilities of AEM are great for a diverse audience with complicated and varying access levels. Components are easy to add and configure, and meet all of our content needs. It is simple to add resources from the Digital Asset Manager and HTML code editor makes it easy to copy and customize existing content (especially during content migration). Navigating and drilling down to specific areas of the site can be a bit complicated and time-consuming depending on the size and complexity of the site. The AEM Training provided by Adobe was extremely helpful and gave a lot of insight as to what features and functionality are delivered out of the box with minimal customization. I would highly recommend learning more about these features and functions at the onset of a project to understand the full scope of what is needed for your certain needs. We are able to use one site to deliver global and local content within the same platform using targeting and permissions. This platform also allows our employee portal to be responsive and mobile so that associates are able to access the information on the go. "Adobe Experience Manager Is Top-Notch"
AEM is intuitive and user-friendly. I like that I can make changes quickly and efficiently. Scheduled page updates can sometimes be unreliable. AEM is super intuitive and easy to use. I highly recommend it. Our firm uses AEM for content authoring of our digital properties. By doing so and giving the author more flexibility and power, we are able to be more efficient and save time. AEM was very easy to learn and begin building web pages. I'm not sure if it the way our developers set it up, but I don't have much control over the CSS or HTML within components. The software is great and does everything we need it to do. I am quickly able to build a landing page that looks and feels like the rest of our site. Simple to use and built on a powerful platform. Interface is very friendly and the technology seems to be keeping up with the innovation and demands of the market. Sometimes I have issues with the single sign-on or the remember me functions. Even though I have the option selected, I am still required to login multiple times. Not a big issue but more of an annoyance. The biggest thing is realizing what the experience is like for our consumers and customers. It helps put in perspective for the organization what the experience is like for the consumer and to help design products from a consumer first perspective. "Working within AEM allowed for fast and effective publishing"
The templating options allowed our company to work within a standard set of page layouts that helped streamline the page builds and keep the site w/in brand standards. From time to time some of the page templates seemed to be a bit buggy. So much of the website could be updated with new content in a timely manor with a relatively small team managing the builds. This is a good tool for people looking to build different types of complex web experiences. Seems to not have many downsides. The creative cloud access pages and subscription service would be the main defect of most Adobe products. Seems to be a like for like product to WordPress. Being able to build out web views clients can explore and comment on is invaluable. "Customization and Combining with other tools is the key!" Navigation was easy and intuitive. The expanding taxonomy and structure was very easy to customize. Very customizable in general (work flows, api calls, etc.) if you have the proper technical resources. Load times can be slow when updating content. Some tasks from the non-technical side ended up being very repetitive depending on how the system was set-up. It takes a lot of work to customize...but once completed that is a strength. AEM should be viewed as a key part of the entire Adobe stack. When combined with tools such as Test & Target, SiteCatalyst, and the Adobe Marketing Cloud...it can get quite powerful. Ability to update content on owned web properties with out the need for dedicated technical staff. Leveraged for areas with frequent content updates such as the homepage and campaign pages. "User-friendly Interface with Great Back-end Support"
I like the intuitive and friendly user interface. It's difficult to get lost in the system because of the cleanliness of the UI. There also provide various ways of getting to a solution within a given page, so frustration is kept to a minimum. I sometimes dislike how the cdrag and drop function refuses to cooperate. While the rest of the functions are spot on, the selection and dragging of frames can be slightly off / uncooperative. We seek to improve the experience of our website visitors by providing them with an informative and seamless journey on our pages. This leads to finding faster solutions on our webpages. This has already been realized, with constant optimization always running. "My Experience with Adobe Experience Manger CQ (AEM)"
Being newer to the AEM CQ platform, I feel that overall the background structure is quite simple to understand and maneuver throughout with having basic content management experience from different platforms. I also like that even though it is a simple process, it feels very secure when activating and making changes live. It takes going through a few confirming steps to make something go live on the website, which is good and causes us to make deliberate actions. I like the widgets, and the ability to have them customized for our use. The tree structure given allows us to house multiple global websites and keep them consistent across the board. I dislike that the current version I have, does not do simple things such as automatically alphabetize tree structures/lists. In some areas you are not able to mass activated, which drags out something that should be simple and quick. I also find that after being within the program for awhile, it slows down quite a bit (not sure if this hinges more on the AEM program, or poor internet connection - that should be considered). I would highly recommend AEM to others. It is a very well thought-out program and continues to have great advancements with each new publish to the software. We are trying to get all of our global websites onto one platform to keep them consistent with each other, and this has been a great solution for that. It is currently housing several different websites, all in foreign languages, and we are finally being able to create a consistent brand for ourselves. It handles much content management storage without problem such as images, pdfs, etc - and offers a nice search feature. I like the ability to tag, add meta data, etc. For someone newer, at times this can be an overwhelming training process. However, we are confident this is the best route to go for our company and continuation of global development with our sites. "Worst CMS possible. Surprised this is what Adobe came up with." Absolutely nothing. This software is complete garbage. Pretty much everything. This is a front-end developers worst nightmare. Even with training our team struggled to understand how to use this CMS. What benefit it actually brings for its price is still a mystery to me. Look for something else. Seriously. This tool has had no bearing, in my opinion to our solutions to problems or the realization of any benefits for the company. Now that our in house developers have worked through the components we need, I like the ease of drag and drop components versus HTML coding. I dislike that while building pages, the components freeze sometimes. It takes a few years to integrate. Try to have patience. "Great and easy to use - User Friendly "
I am able to freely and easily create designs using photoshop. "Adobe experience managment specialist "
It keeps assets in one place and provided *some* control over the projects. Their support person responsible for our account is incredibly nice and responsive. Not user-friendly interface and search, very difficult to search for tags so you have to go and look for them manually, "freezes" and works exceptionally slow pretty often, have to reach out for their support over and over again. "AEM succeeds but bores. " AEM is easy to use, and is certainly functional. The components are often buggy and load time is not as fast as other industry leaders. Out of the box features can be clunky. We use this an an extranet. Compared to our previous [intra]net, we are able to better organize the site for stakeholders. "Powerful CMS for the Enterprise"
Not as easy to use as some off the shelf and open source solutions CMS options. No real community of modules and plugins, everything must be purpose built. AEM is a platform for building rich web experiences, it's not a quick solution to bring up a new site. Remember that everything you see in the demos are not out of the box capabilities, they are examples of custom development using the tools included in AEM. Needed a scalable platform to standardize web authoring and publishing resulting in increased productivity and distributed authoring capabilities. Learning about Adobe Experience Manager? * We monitor all Adobe Experience Manager reviews to prevent fraudulent reviews and keep review quality high. We do not post reviews by company employees or direct competitors. Validated reviews require the user to submit a screenshot of the product containing their user ID, in order to verify a user is an actual user of the product. Hi there! Are you looking to implement a solution like Adobe?